Welcome to Bridge Street Surgery. Carlsberg don't do doctoring - but if they did it would 'Probably' be like Bridge Street Surgery. In the latest patient survey we have come one of the 'top' surgeries in the area in the area, with 93% of patients recommending us. At this practice you can book appointments in advance. You can have more than one problem dealt with at one appointment. We have a morning open access surgery for urgent problems every weekday 9 - 10.30am. The receptionists will now ask you for a brief description of your urgent problem so that you can be booked into the appropriate appointment. 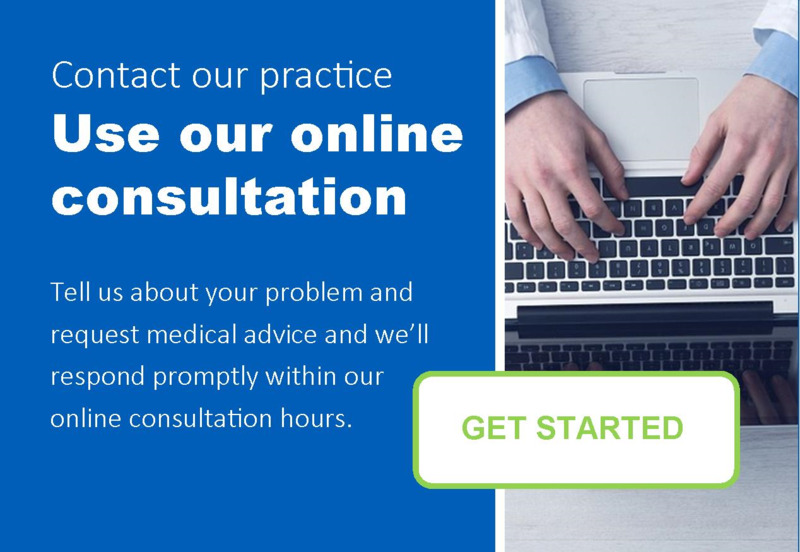 You can talk to a GP on the phone by booking an appointment so we ring you at a prearranged time. You can see a doctor outside normal working hours as we do extended hours on Tuesdays and Thursday evenings. You can also see the same doctor for regular care of long term conditions. At this practice your records can be seen by doctors and staff at other practices in the area. All the doctors have their own 'special interests', which means that we can provide a lot of services such as coils and minor operations that other practices have to refer patients for. Our building is old and a bit inconvenient, but it is beautiful and has character. We have a new system which we hope will help improve our service. Answering the phone is a big workload for us, and we try to do it well and efficiently, but the number of calls we get has risen hugely and we struggle to cope. Patients will increasingly find that we will be reserving phone contact with us to issues that cannot be dealt with either by online requests, or for example ordering prescriptions through a pharmacy. In this way we hope to be more available to more urgent medical matters. GP earnings now have to be published here on our website. Our last years taxable average earnings of the 2 partners and 3 salaried doctors was £74,357. Quite a lot of this money has been earned by work we do on top of our normal GP work at Brigg, such as doing Appraisals and teaching. Online record access including appointments and repeat prescriptions. You can now request repeat medication and make appointments via the internet 24/7. Please register at reception. It is so much better than phoning. You can also view some parts of your medical records like blood test results. Do you still book holidays or train tickets on the phone? We also welcome patients who wish to transfer from other practices if you live within our practice boundary. Please click on the image below to check that you live within our practice boundary. Both surgeries have access for wheelchairs, toilet facilities and car parking spaces for patients. At the Brigg surgery disabled patients are welcome to park in our rear car park and use the back door, which is operated by a buzzer system at the right hand side of the door.